"Animals travel on all fours. Mankind on two. Motorcycling is not a means of transport but an ideology, a nomadic way of life." From Sapa, the dramatic mountainous landscape continues throughout the whole of the North West and North East. Our “Cinnamon Loop” takes in the changing scenery of Lao Cai, Ha Giang and the extremely remote Tuyen Quang Province. From cinnamon forests to tea plantations and rice terraces, this loop has it all. We ride along mountain passes and through vast plains and ancient forests. This four day loop is a great way of discovering some of Vietnam's greatest secrets. Creating a scenic loop, starting and ending in Sapa, this road trip is a great way to explore the northern highlands. Either bathed in a warm, sharp highland light, shimmering over the ripe rice terraces like a halo, or covered in a cold, haunting fog, so thick it induces feelings of claustrophobia, the Cinnamon Loop is a rewarding way to spend your days driving. The route takes you through the Black Hmong villages that line the famous Muong Hoa Valley. Hilltops are lined with elfin forest, steep sided karst outcrops and mountains. 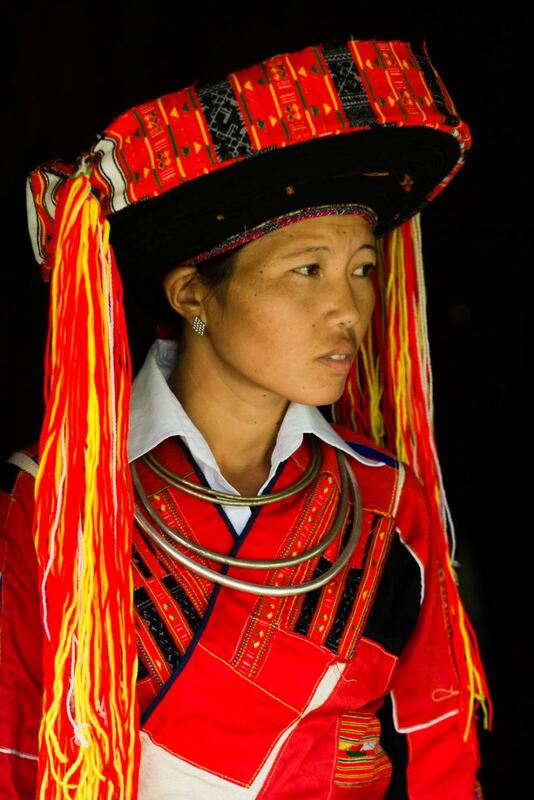 The lower reaches of this area is home to the Red Dao and as we venture lower, we reach areas Dominated by the Tày ethnic minority with a sprinkling of Pà Thẻn people. The five day loop also includes the incredible opportunity to homestay with the Tày and Dao Tiền. Traditional clothing is made with dark blue cotton fabric dyed with indigo. Small details are embroidered into the neckline and the jackets are often adorned with simple, yet stylish features. For experienced riders (and with some early starts), the Cinnamon loop can be completed in four days. Day one involves the longest ride with an epic 270km ride down the Muong Hoa Valley before heading east towards the heart of the north. We homestay with the Tay ethnic minority in traditional stilt house before having two days to explore the mountainous zones two epic provinces. If you’re lucky and the weather is good, then the scenery on the loop is fabulous. The grandeur and scale of the mountains and valleys of the north is unmatched anywhere in Vietnam. The rice terraces are higher, steeper, more dramatic, and less busy than other areas of Vietnam.